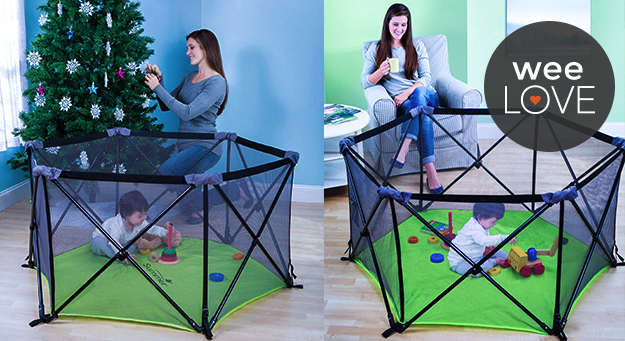 The Summer Pop ‘n Play Portable Playard creates a safe, roomy play area for your little one, anywhere you go. From a visit to grandma’s or even the beach or park (the floor is water resistant), this extremely lightweight, compact playard can easily be set up or taken down in seconds. Perfect for travel or tossing in the car, it folds up nicely in an on-the-go bag with a shoulder strap. At only 12 pounds and an affordable $84.99, it’s also great to use in your own home, since there’s plenty of space for your tot to play while you tackle your to-do list. With holiday vacations and family visits upon us, don’t bother begging your parents to get rid of their coffee table… just bring along the Pop ‘n Play. I have this and love it! 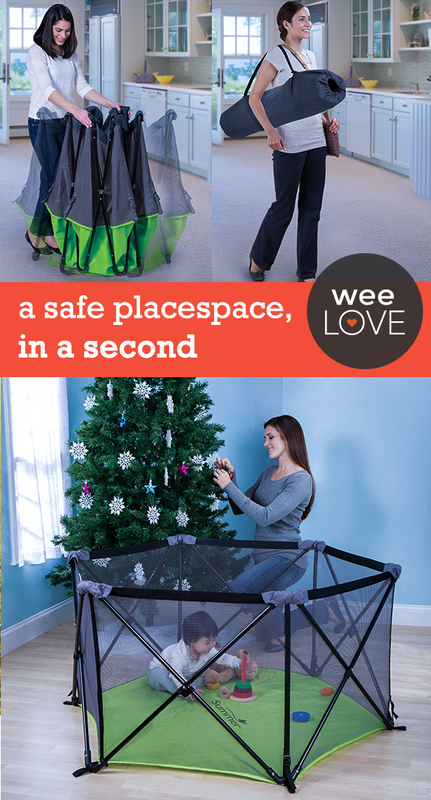 It’s great space for baby. I enjoy taking it outside, so baby has a safe place to play.